companies in North America. Top Hat grew 481 percent during this period. team continues to build upon the need for an active learning classroom. median growth of 412 percent. the Top Hat teaching platform. 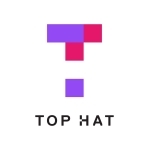 To learn more, visit www.tophat.com. to learn more about our global network of member firms.